IRELAND NEEDS ASSURANCES from the UK that it will maintain the highest safety standards at the Sellafield nuclear power plant post-Brexit, said Fianna Fáil’s Timmy Dooley. Government officials will today discuss the UK’s decision to withdraw from Euratom, an organisation that has controlled the peaceful use of nuclear energy in Europe since 1957. The UK-Ireland Contact Group on Radiological Matters is meeting in Dublin today to discuss the matter, with a second meeting to be held in London later this year. “It is our concern that if the UK is outside the EU agreement that it wouldn’t be bound by the same safety standards that exist at present,” said Dooley. He said Ireland has continuously had concerns about the Sellafield plant and what impacts any incident would have to the Irish public. “They [the UK] have never dissuaded our concerns in any real way, in my opinion, and never really shared or cared for our very genuine concerns,” he said. The group meeting today includes departmental officials and representatives from the relevant regulatory bodies – the United Kingdom’s Office for Nuclear Regulation (ONR) and the Environment Protection Agency (EPA) and the Office for Radiological Protection. Twice yearly the group meets to discuss a range of radiological and nuclear related issues such as other developments in the EU and the UK new build programme. Updates are also provided by the various agencies on progress made on legacy issues, including Sellafield. Following its withdrawal from Euratom, the UK will now have to strike new deals with over 20 countries both inside and outside the EU that it holds co-operation treaties with on nuclear safety. Dooley said Ireland has very real concerns about the Sellafield plant across the Irish Sea, adding that the government needs to ensure that Ireland is protected. The Minister for Communications, Energy and Natural Resources, Denis Naughten was asked earlier this month what correspondence his department has had with the UK government and the Office for Nuclear Regulation with regard to its decision to withdrawal from the Euratom treaty. The minister replied that his department had not yet raised the issue with the UK authorities, but said the issue would be discussed at the next meeting. However, he said department officials maintain on-going contact with their counterparts in the UK throughout the year, as well as respective regulators. 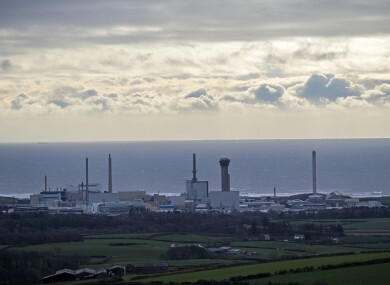 However, Dooley said the minister must assure the public that the issue of Sellafield and nuclear safety is not lost in the mix of complicated Brexit discussions. We are raising these concerns to ensure that they all get addressed in the negotiations and so that it is not just something that is left there and that is a threat to us. An agreement of some sort will have to be signed, but we need assurances that standards in nuclear safety are maintained. The UK need to sign up to ongoing standards so that we are protected. We are very anxious to keep the same standards… and this should be on the minister’s radar. With Brexit looming, there are also concerns about the UK’s future plans for nuclear power – such as the plant planned at Hinkley Point C in Somerset where the second of two nuclear reactors will switch on in the middle of the next decade, according to The Guardian. Speaking about the new power plant, Naughten said the Irish government have been aware of the plans to build new nuclear power stations at sites judged as potentially suitable since 2009. He said that while Ireland is not a nuclear energy producing country, it acknowledges the right of States to determine their own energy mix. “However, we expect that, where a State chooses to develop a nuclear power industry, this will be done in line with the highest international standards with respect to safety and environmental protection,” he added. Naughten said Ireland has been actively involved in the consultation process on the proposed new build programme, adding that it is a standing agenda item at UK-Ireland Contact Group on Radiological Matters meetings. There is no sign of the Sellafield plant winding down anytime soon, with the plant this week seeking long-term construction partners to carry out work at the nuclear plant over the next 20 years. Dooley said the Irish public should get some sort of guarantees that existing operations be held to international standards, and called for the Irish government to be kept up to date on matters such as maintenance programmes at the UK plants. Email “At just 128 miles from Dublin, Ireland needs assurances about Sellafield - TD ”. Feedback on “At just 128 miles from Dublin, Ireland needs assurances about Sellafield - TD ”.